Sound the alarm! There’s a jailbreak in LEGO City! 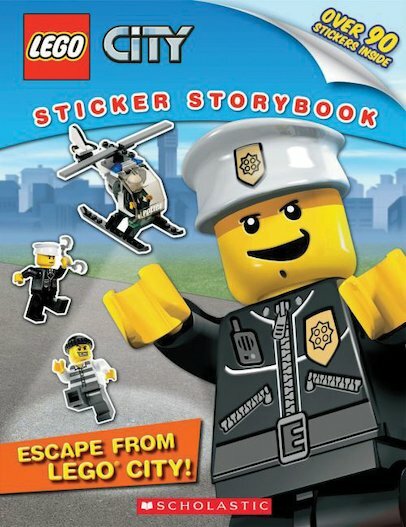 Use your stickers to catch the runaway crooks before they escape for good! It’s just another day at the LEGO City Police Station, when suddenly the sirens start to blare. Some criminals are loose, and the police need your help to arrest them and keep the city safe. Chase the criminals down busy streets; stop them in their tracks at the train station; and head to the airport to catch a crook instead of a flight! Fast-paced urban adventure lies in wait in this play-along baddie-busting mission.